I believe there are really only 2 religions – 2 religious belief systems – in the world. Sounds crazy, right? No, I truly believe there are just 2 religions in the world. 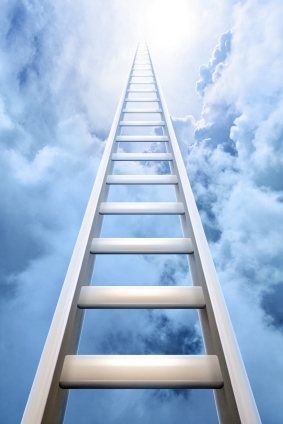 In the first religious belief system, we can use the illustration of a ladder extending from earth to Heaven. 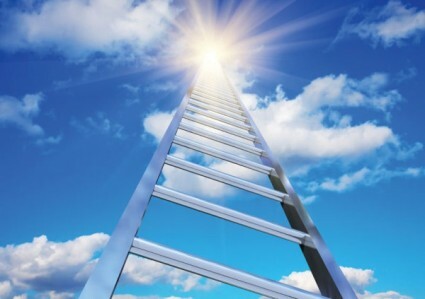 In this illustration, most of humanity attempts to “climb the ladder” to Heaven by right beliefs, good intentions, obedience to all kinds of rules, and the faithful practice of all kinds of rituals. The adherents of this religious belief system believe if they can just do enough, they can tip the divine scales and God will let them into a place of bliss, perfection, and rewards. Those who depend upon good works might call themselves “Buddhists” (using the 8-fold path of enlightenment) or “Hindus” (reincarnation – coming back over an over again in some new form), or something else. They might call themselves “Muslims” (practicing the 5 pillars, attendance at the mosque, memorizing the Qur’an, following the Sunnah, etc.) or “Christians” (going faithfully to “church,” practicing the “Golden Rule,” singing in the choir, reading the Bible, etc.). Essentially, if they are trying to “climb the ladder” to Paradise by their good deeds, they are counting upon – and this is incredibly important – themselves. They are counting on their own performance, their own hard work, and their own spiritual achievements – in essence, their own goodness. In the second religious belief system, we can also use the illustration of a ladder between earth and Heaven. But in this faith system, God in Heaven looks down upon humanity and lovingly sees that people simply cannot “climb the ladder” and get to Him. None of them can. All are helpless, all are hopelessly lost, and all are in need of rescue. All are in deep shame and in need of their honor to be restored. So God sends His mercy and compassion down the ladder through His prophets. He does this especially and uniquely through Jesus – Isa Al Masih. The prophet Isa – spotless and sinless (Qur’an 19:19) – takes upon himself the sins and shame of the whole world through the voluntary sacrifice of his life. He provides restored relationship with God in Heaven, forgiveness of sins, and the honor that all people need and crave. This is indeed Good News but. . .there is a big IF: mankind must believe in Isa (Jesus the Messiah) – who he is and what he has done – and follow him to the end. 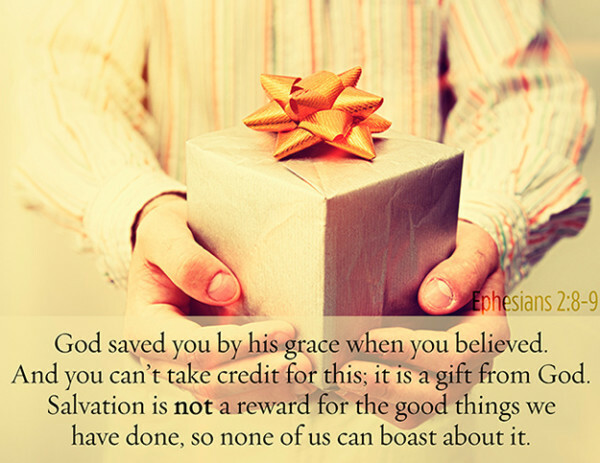 Grace is simply receiving (accepting) by faith a gift that cannot be earned. In this case, the gift is the gift of forgiveness of sins and righteousness (right standing) before God and then the resulting gift of eternal life in Paradise. 2 religious belief systems: good works. . .and grace. So yes, I believe there are only 2 religions in the world. Mark, so blessed that your reposted this message about there being only two religions. I am thankful that I can know Jesus the Messiah [Isa} and receive by faith the gift of a relationship with GOD in Heaven and forgiveness of all my sins through Jesus. Thanks so much for reading, Ruth. We have shared this idea of only 2 religions with many people. It resonates because an incredible amount of people are trusting in themselves – their good works – to get to heaven. How sad, isn’t it, when Jesus has done THE work for them. Our pride just can’t accept it. But for the humble and broken, God’s offer of the gift of salvation is food for their starving souls.